The question is not why you should build an app, but how. Our developers engage your customers across all operating systems using Xamarin, a cross-platform application development toolkit that rapidly produces native Android, iOS and Windows apps with unified, branded UIs. Xamarin developers cut expenses by programming with a single C# codebase, deliver amazing UI/UX and include QA with every build. Chetu Xamarin developers program native apps in C#, eliminating the intricacy of coding in multiple languages. This Xamarin cross-platform development process makes seamless native functionality possible across all operating systems, including iOS, Android and Windows Mobile. Xamarin is able to access a device’s feature APIs, including camera, accelerometer, gyroscope, geolocation and network. Mobile apps built with Xamarin have native user interfaces (UI), native API access and native performance. They look and behave the way the user expects with standard UI controls. Native API access ensures use of the complete spectrum of functionality of the platform and device, including ARKit and Android Multi-Window mode. App performance is accelerated since it’s compiled for native performance. 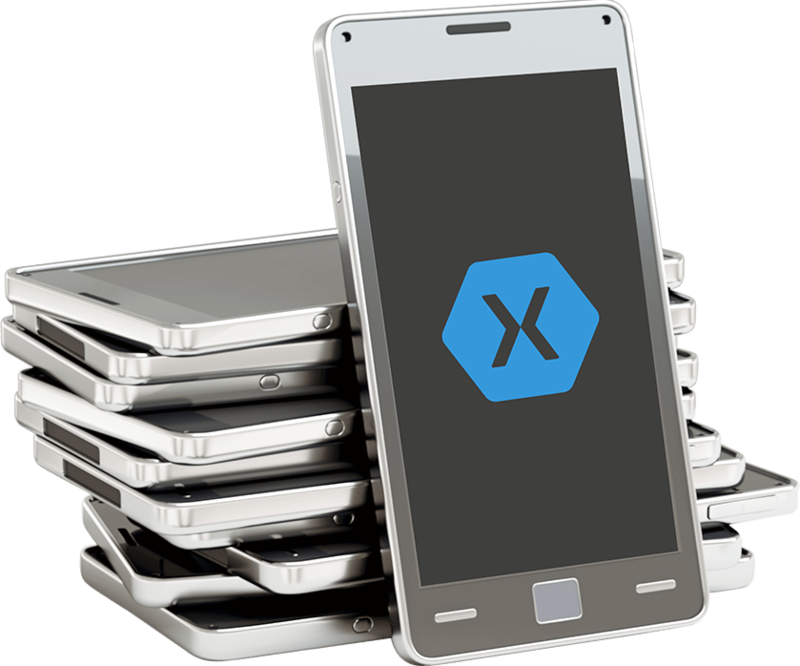 Xamarin’s excellent debugging, unit test, profiling and UI test generation features make for the highest quality mobile apps. Chetu’s developers swiftly construct, connect and adjust native mobile apps for Android, iOS and macOs. Launching applications for the web is simple, with support for ASP.NET Core, and Visual Studio makes it possible to publish applications to the cloud from the IDE. Xamarin cross-platform development features allow our programmers to develop apps on PC or Mac, using Visual Studio, a complete integrated development environment (IDE). Xamarin iOS development is easily achieved through Visual Studio for Mac, which offers a rich, customized experience. Collaboration with other developers is made easy through seamless code sharing. Xamarin app development includes the ability to create cross-platform games by using Unite and Visual Studio for Mac. Our developers build customized games with rich graphics and user-friendly features that run on all platforms. Visual Studio for Mac’s potent coding, refactoring and debugging features bring games to the next level. Chetu’s developers specialize in the Xamarin framework and its supporting technologies and deliver versatile apps for deployment on iOS, Android and Windows Mobile operating systems. Our Xamarin developers create applications by relying on extensive experience with native platforms. This ensures that apps are accepted by app stores by adhering to UI and UX guidelines for each operating system. No matter if you are in the beginning stages of planning your app or if you’ve already started some elementary wireframing, we will work with you to secure a strong development roadmap that includes functionality expectations, performance conditions and daily deadlines clearly laid out. We employ a vast talent pool of front- and back-end programmers, database engineers, UI/UX designers and QA specialists who are experts in their respective fields and are adept at collaboration, using agile or waterfall methods, to provide a unified, crystal clear development experience. Once deployment of your solution to the App store or your IT infrastructure takes place, we can offer continual maintenance and upkeep if needed. Also, we are able to add functions and advance scalability for current apps, in addition to making essential upgrades when platforms are updates or a new device is released.